With over 1000 products spread over 13 categories, we have all your product needs in one place. In December of 2008 Gila Distributing left the window film distribution business altogether and at that time started to focus 100% of our attention to the window film tool and accessory business under the name GDI Tools. Matt Jobe serves as President of GDI Tools. Matt has worked in the window film industry since 1986. GDI Tools offers you service from employees with over 50 years of combined experience! 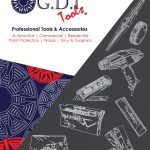 As a primary manufacturer and distributor of many of the tools and supplies for the window film and paint protection industry, GDI Tools is pleased to supply the tool requirements of distributors for all brands of window films worldwide. Our product line is ever-changing to meet the needs of our customers. State of the art inventory management and shipping systems provide just in time inventory and same day shipping for over 99% of all orders. Our sophisticated facilities provide quick response to custom size orders. GDI Tools fully understands that the survival of our business depends on the success of your business. That’s why we take pride in the support and excellent service we offer our customers. Click the image below to download a pdf version of our catalog. This link is updated periodically as new items are added or current items are changed. Be sure to check back often to make sure you have the latest version. (This is a large file, please allow time for download). 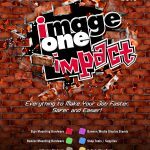 GDI Tools is proud to partner with ImageOneImpact. A link to the ImageOneImpact catalog is below. Contact GDI with the item number you are interested in for a price quotation.